It’s Friday! That means it’s time to load the Kroger Friday Freebie coupon. 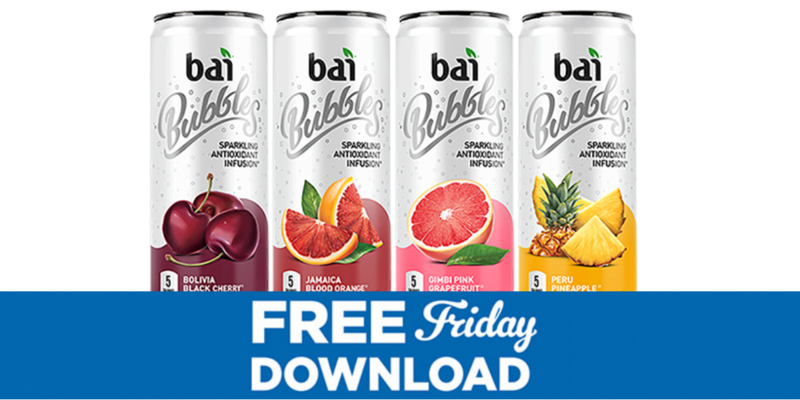 Today only, LOAD A NEW eCOUPON for a FREE Bai Bubbles, 11.5 oz drink! To get this deal you must LOAD THE E-COUPON each Friday (a different offer each week) but you have two weeks to buy the item in the store. This e-coupon is available 1/11 only, but you have until 1/27 to redeem it.